In Defense of Joseph: Did Joseph Smith, Jr. make improper advances toward Sarah Pratt? Did Joseph Smith, Jr. make improper advances toward Sarah Pratt? Sarah Pratt claimed in an 1886 interview that, while in Nauvoo around 1840 or 1841, Joseph Smith was attracted to her and intended to make her "one of his spiritual wives." According to Bennett, while Orson was in England on missionary service, Smith proposed to Pratt by claiming divine inspiration: "Sister Pratt, the Lord has given you to me as one of my spiritual wives. I have the blessings of Jacob granted me, as he granted holy men of old, and I have long looked upon you with favor, and hope you will not repulse or deny me", to which Bennett claimed Pratt replied: "Am I called upon to break the marriage covenant … to my lawful husband! I never will. I care not for the blessings of Jacob, and I believe in NO SUCH revelations, neither will I consent under any circumstances. I have one good husband, and that is enough for me." Also according to Bennett, Smith made three additional proposals. By Bennett's account, Pratt issued an ultimatum to Smith: "Joseph, if you ever attempt any thing of the kind with me again, I will tell Mr. Pratt on his return home. Depend upon it, I will certainly do it," a warning that elicited the threat from Smith, "Sister Pratt, I hope you will not expose me; if I am to suffer, all suffer; so do not expose me.... If you should tell, I will ruin your reputation, remember that." After Orson returned from England, Bennett claims another incident between Pratt and Smith at her home occurred. According to Sarah Pratt's neighbor, Mary Ettie V. Smith, "Sarah ordered the Prophet out of the house, and the Prophet used obscene language to her [declaring that he had found Bennett] in bed with her." Sarah told her husband about the incident; Orson took Sarah's side and confronted Smith, who denied Sarah's allegation and responded that she was Bennett's lover. The Wikipedia article quotes three sources for this information: Van Wagoner, Richard A. (1986), "Sarah Pratt: The Shaping of an Apostate", Dialogue: A Journal of Mormon Thought 19 (2): 79; Smith, Andrew F. (1971), The Saintly Scoundrel: The Life and Times of Dr. John Cook Bennett, Urbana and Chicago: University of Illinois Press, p. 141; Bennett, John C. (1842), The History of the Saints; or An Exposé of Joe Smith and Mormonism, Boston: Leland & Whiting. In addition to the Wikipedia article, other sites such as Rethinking Mormonism, make similar statements about Sarah Pratt and Joseph Smith, Jr. The latter part of my conversation with her revolved around the matters I had had particularly in mind when I sought the interview. I asked her, "Sister Pratt, will you allow me to ask you some rather personal and delicate questions?" "You may ask me any questions proper for a lady to hear and answer," she replied. I assured her I would use no language a lady should not hear and did not wish to ask any improper question or one she might not answer in the presence of Doctor Benedict who was with me. But I told her I felt there were some which referred to my father and herself which only she could answer. I asked her to consider the circumstances in which I was placed. I was the son of the Prophet; had been baptized by him; was a member, though a young one, at the time of his death, and thought that I had understood, in part at least, the principles the church taught and believed. But following his death certain things were said about him, his teaching and practice, which were at variance with what I had known and believed about him and about the doctrines he presented. Naturally I wanted to know the truth about these matters, for I assured her I would much rather meet here in this life whatever of truth might be revealed about those things, even though it were adverse to what I believed to be his character, than to wait until after I had passed to the other side and there be confronted with it and compelled to alter my position should such revealment prove I had been in error. She told me to proceed and the following conversation took place. "Did you know my father in Nauvoo?" "Yes, I knew him well." "Were you acquainted with his general deportment in society, especially towards women?" "Did you ever know him to be guilty of any impropriety in speech or conduct towards women in society or elsewhere?" "No, sir, never. Your father was always a gentleman, and I never heard any language from him or saw any conduct of his that was not proper and respectful." "Did he ever visit you or at your house?" "Did he ever at such times or at any other time or place make improper overtures to you, or proposals of an improper nature—begging your pardon for the apparent indelicacy of the question?" To this Mrs. Pratt replied, quietly but firmly, "No, Joseph; your father never said an improper word to me in his life. He knew better." "Sister Pratt, it has been frequently told that he behaved improperly in your presence, and I have been told that I dare not come to you and ask you about your relations with him, for fear you would tell me things which would be unwelcome to me." "You need have no such fear," she repeated. "Your father was never guilty of an action or proposal of an improper nature in my house, towards me, or in my presence, at any time or place. There is no truth in the reports that have been circulated about him in this regard. He was always the Christian gentleman, and a noble man." That I thanked Mrs. Pratt very warmly for her testimony in these matters my readers may be very sure. I had constantly heard it charged that my father had been guilty of improper conduct toward Elder Pratt's wife, and I had long before made up my mind that if I ever had an opportunity I would find out the truth from her. The result was very gratifying to me, especially as she had made her short, clear-cut statements freely, just as I have recorded, in the presence of Doctor Benedict. It may be added that mingled with my pleasure was a degree of astonishment that such stories as had been told about her and her relations with Father should have gotten out and been so widely circulated and yet never met with a public refutation from her. However, I expressed my appreciation of her kind reception and her statements, and at the close of our interview, which lasted about an hour and a half, left her with good wishes. "My God! What damned liars these people are! Here for years I have been told that your father had Mrs. Pratt for one of his spiritual wives and was guilty of improper relations with her. Now I hear from her own lips, in unmistakable language, that it was not true. What liars! What liars!" It is obvious to me that Sarah Pratt's in-depth interview, with repeated questions and answers designed to reveal the truth, carries much more evidentiary weight than a simple statement to the contrary. And indeed, it carries much more weight than third party statements to the contrary. 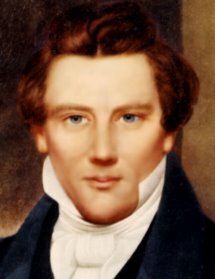 So, did Joseph Smith, Jr. make improper advances toward Sarah Pratt? Absolutely not! In Sarah Pratt's own words to Joseph III, "Your father was never guilty of an action or proposal of an improper nature in my house, towards me, or in my presence, at any time or place. There is no truth in the reports that have been circulated about him in this regard. He was always the Christian gentleman, and a noble man" (ibid., p.34). I am very grateful for you posting this information. God bless you in defending a great man. Thank you for your kind words. Joseph was truly a great servant of God and deserves to be defended. Wow, marvelous blog format! How long have you been blogging for? you make running a blog glance easy. The whole glance of your site is excellent, let alone the content material! repulse or deny me." What will you people not do to clean up and sanitize your church's history?